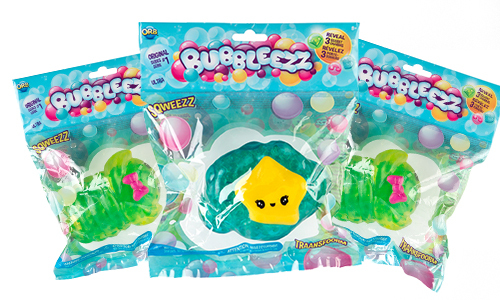 Bubbleezz are adorable collectable squishy characters that live and play in a parallel Bubbleverse - a squeezy bubbly world of wonder & fun! Bubbleezz have hidden power charms - squeeze and transform your Bubbleezz character to reveal their inner powers and unique personalities. Tryazon will select 100 hosts for this opportunity. Those chosen will receive a party pack with an assortment of Bubbleezz products to showcase and sample with friends and family! Applications are due by April 11th.